To be completely honest, I am slightly overwhelmed with this project. The car needs so many things already (power steering leak fix, new radio, reglued door panels, tires….) 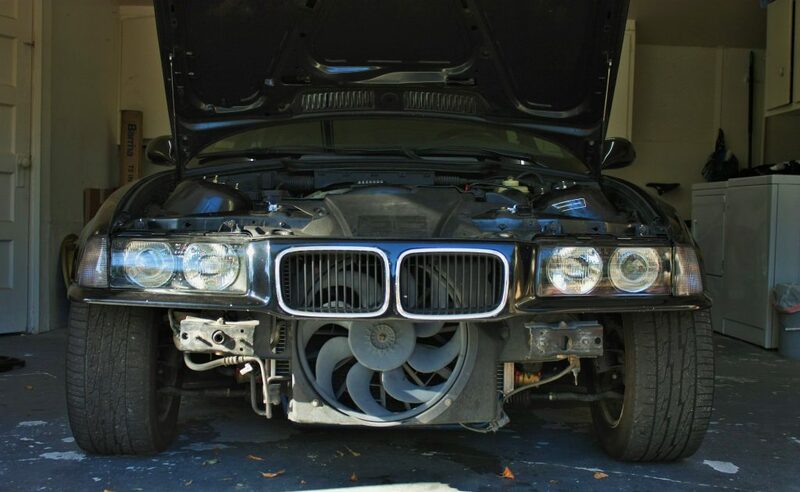 and this turbo install is no small task. 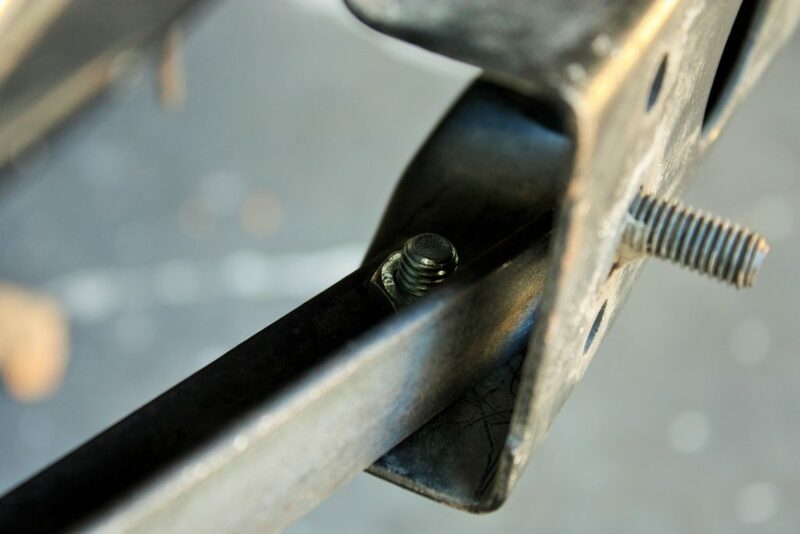 However, one step at a time, and I saw an opportunity to make some progress without taking the car out of commission by removing anything important. 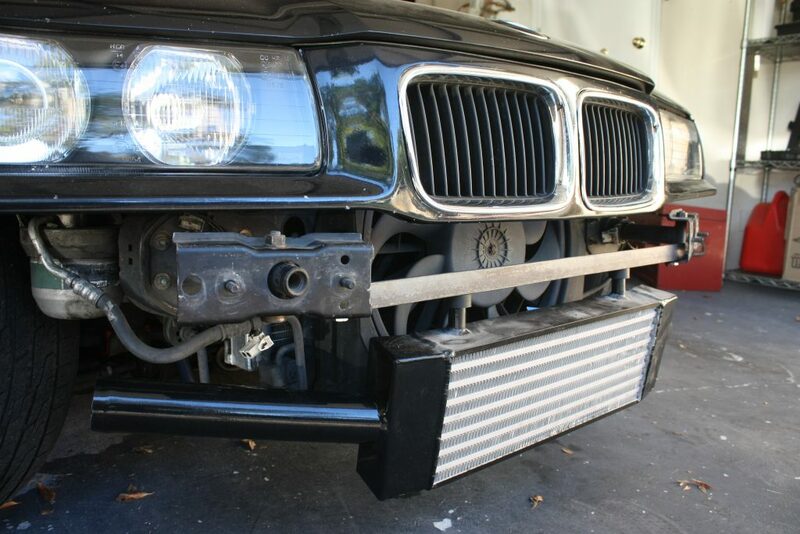 The intercooler that came with the kit was supposed to be a direct bolt on to the front bumper, requiring no modification. Sure. How often do statements like that ring true? 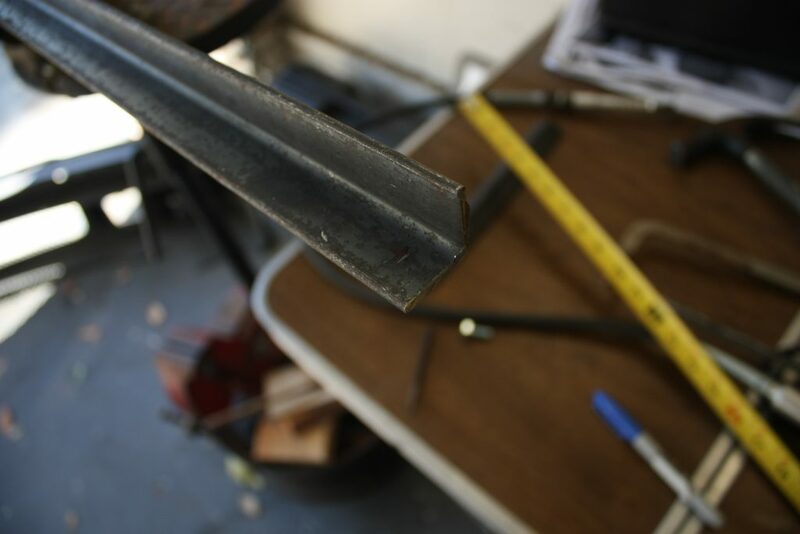 I could have gone with cheaper flat bar stock, but the angle will add strength and rigidity and keep the span from flexing under load. The job from here was relatively simple: measure a lot, measure a lot more, cut the piece to length and drill a few holes. Easy? 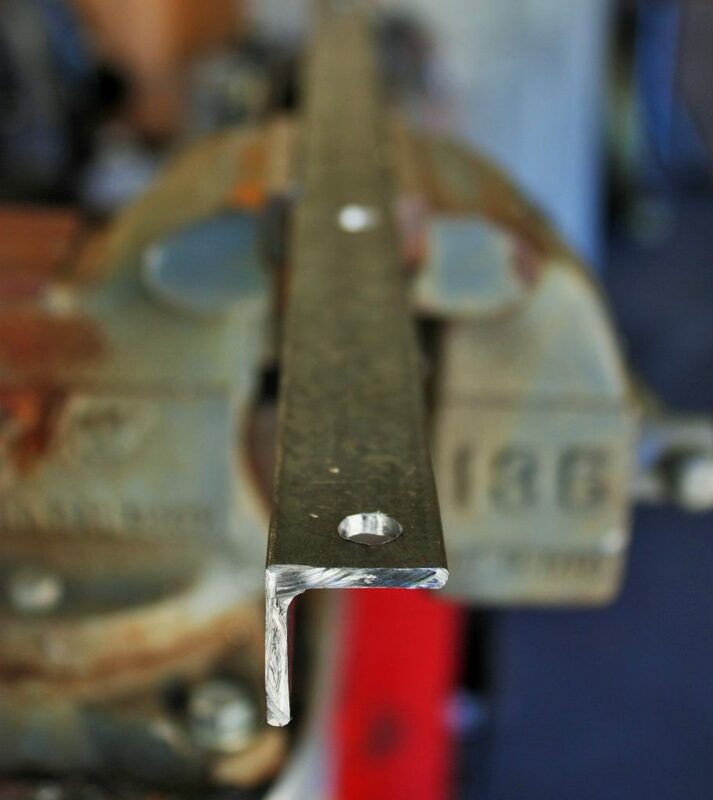 Without a metal chop saw or a grinder, cutting the iron to length became interesting. 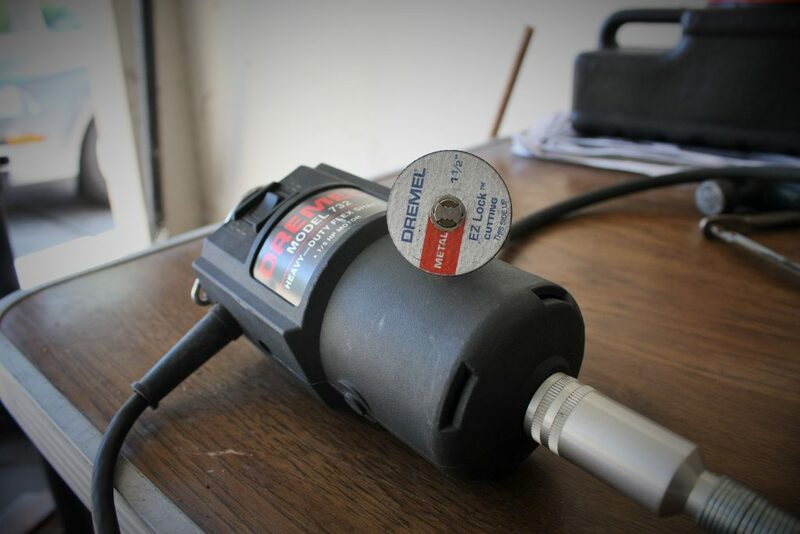 I’d recently acquired a Dremel with an extended flexible “nossle” to hold the cutting bit. Weird tool, but with a metal cutoff wheel it did the job well enough. It didn’t leave the cleanest cut, but nothing a file couldn’t fix. 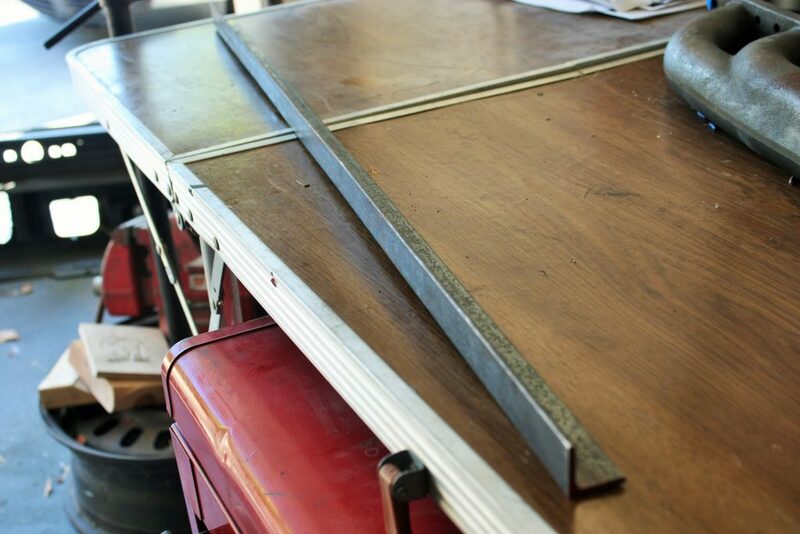 More measuring, and I had the holes drilled at either end, spaced enough to overlap the bumper supports. 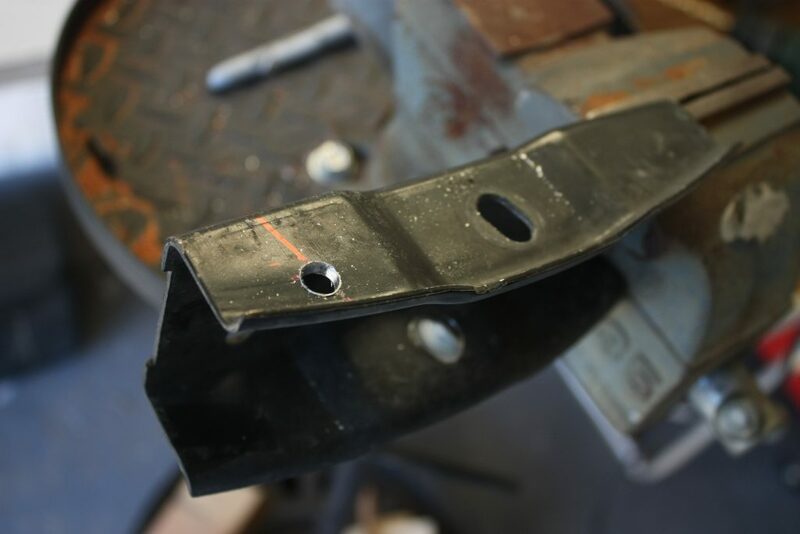 For the holes in the bumper supports, I had to measure and mark their location while on the car, and then take them off to drill. This involved a lot of awkward crawling around in my power steering fluid puddle with a sharpie and flashlight. 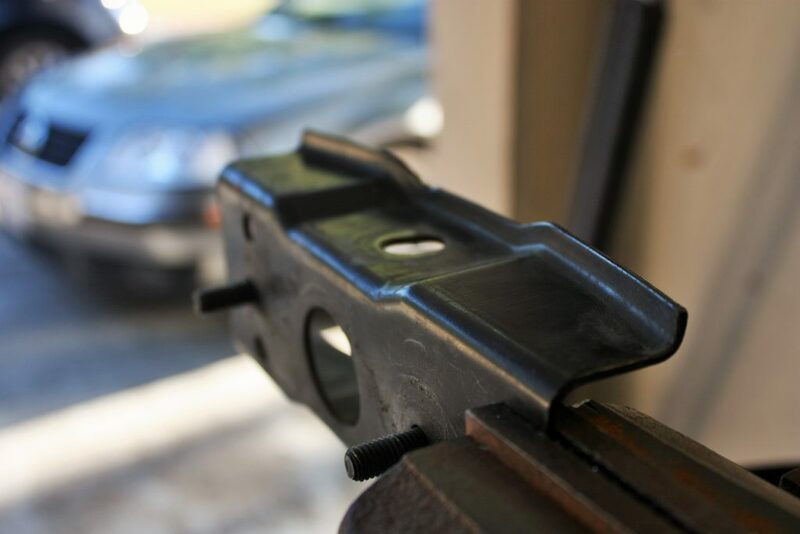 Once this was done, the bumper supports could come off and I set to work with the drill once more. 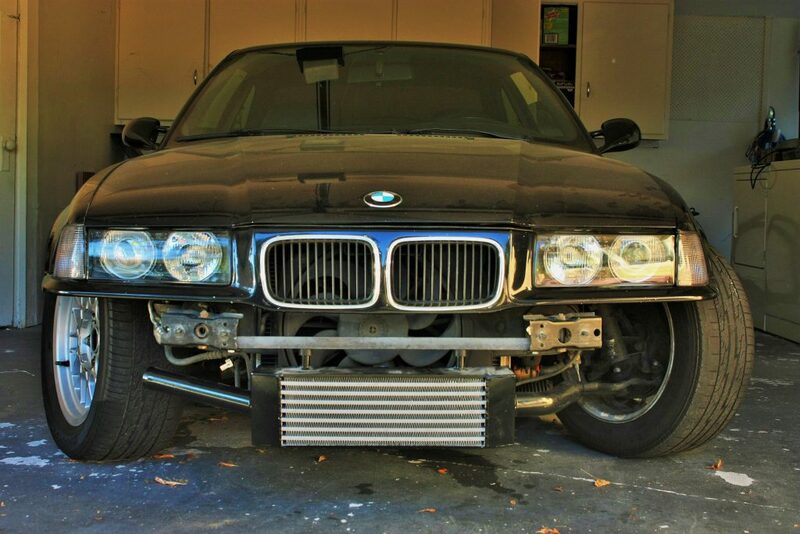 Finally, the last two holes in the bar were for the intercooler itself. These were just centered side to side and matched with the spacing of the threaded holes on the intercooler, and were done quickly. Time for a fit check! I’m super happy with how it looks. 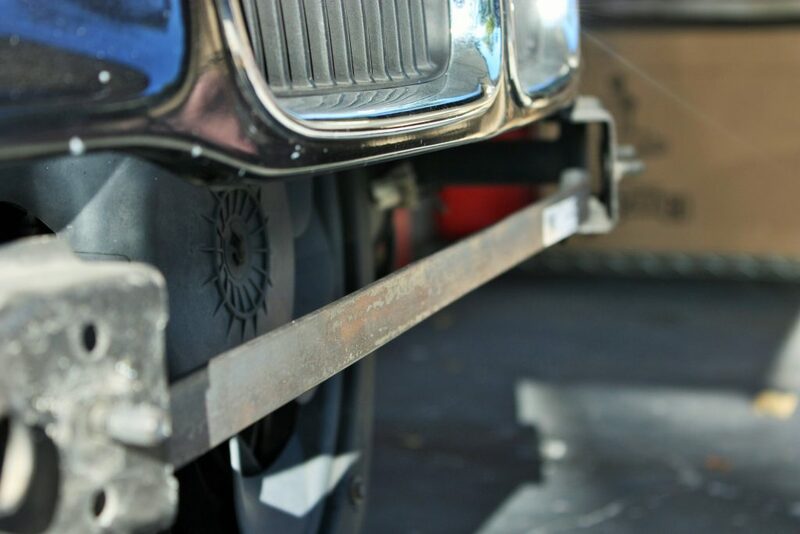 It hangs low enough to almost not interfere with the bumper at all, and high enough to not drag on the ground. The inside of the bumper will need to be trimmed slightly, but this should be easy enough and worth it for how cheap and easy this process was.